What is your favorite form of book marketing? And what form of book marketing do you find most convincing? Lisa (Danger Gal): I used to work in television and now I’m a web designer, so I’m often drawn to the visual nature of book trailers. When done well, they do tempt me to at least find out more about a book. Ultimately it’s the cover, book blurb, and first few pages that convince me, though. If those don’t hold up to what I expected from the trailer then I don’t buy. When I’m perusing in a book store, certainly the cover is what grabs me. Often I’m in that store looking for a specific title, though, after having read a review. When it comes to covers, a depiction of a strong heroine will always interest me. Internet ads do draw me in, and I have in fact purchased a few books from clicking on Internet ads, but they function for me similarly to how book trailers function. I think Web sites are a critical tool in maintaining a connection to an author’s core audience. It might only rarely draw in new readers, but it will harness the pull of existing readers and may capture the attention of a reader on the fence about a particular author. It’s a great way to build a mailing list and use that mailing list to drum up anticipation of new releases. As a reader I’m not so interested in blogs where authors talk about the mundane details of their lives, though I may be in the minority on that — and it does seem to depend on how entertaining an author can make the post. I’d rather read some insight into their research methods, what inspired some of their stories, or other topics that directly relate to their books. Author interviews can be useful, but I don’t often have time to read them. Twitter is fun, and if an author is particularly witty in this format then it’s a great tool. FaceBook does seem to be able to reach audiences in ways a web site often doesn’t. I think FB can be a useful tool to push audiences to an author’s Web site. John Markley: I like a nice, extensive publisher website, especially if it goes beyond just listing the books available. I love reading background info on books and authors, author interviews, fan discussion, and things like that. If the website is interesting, I’m a lot more likely to spend some time exploring it and end up stumbling on new books that seem like they might be interesting. It’s a strange irony that with a few exceptions- principally Baen- SF publishers really seemed to lag behind on this until fairly recently, and in some cases still do. Ace, a name that’s been a Titan of science fiction publishing longer than I’ve been alive, has an official Internet presence consisting of a three-paragraph historical overview and a bare bones entry for each book on the Penguin Group Inc. website. It doesn’t seem to be a question of resources; indeed, my experience is that smaller publishers often seem to put more into this than bigger ones. Night Shade Books is a small company but has a nice site, while Ace is an arm of a huge publishing conglomerate and yet has less info online than the cereal I had for breakfast this morning. I’ve bought books that I would have most likely overlooked from learning about them on some of the more interesting publisher websites, so I’m hoping that more publishers will take advantage of this form of promotion. Elizabeth : Personally I find the cover as the biggest marketing tool. Probably fickle, I know. Even had I never heard of Peter V. Brett’s The Painted Man, before buying it, I would have bought it. Purely for the fantastic artwork on the front. I’ve picked up many a new author because of the illustration on the front cover and similarly, there are books I won’t touch with a pitchfork because of the lurid covers. I also like continuity in covers – for instance, the new covers done for Robin Hobb genuinely appeal to me. I have read all of them but am keen to own them all over again, purely because of the emblematic covers. 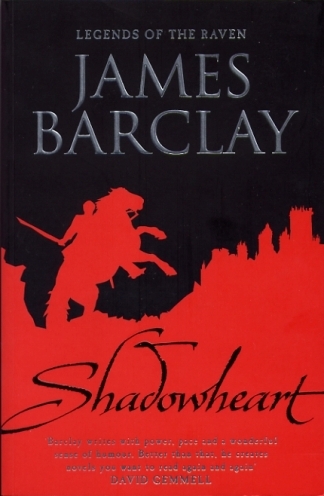 Similarly the new covers brought out for James Barclays books – genius marketing. 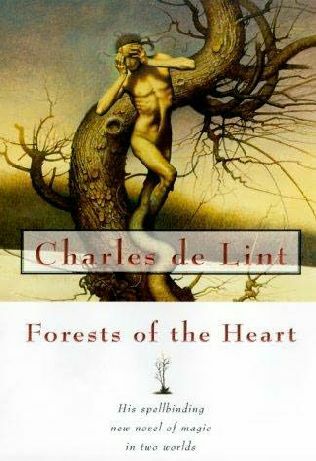 Another author whose work I admire greatly is Charles de Lint – recently his older novels are being re-done and the artwork is indicative of the magic within the books. Something which Orbit is doing – as I’m sure many others know – is doing behind the scenes peeks at how front covers are put together. Visit the Orbit blog to view what they’ve done for Joe Abercrombie’s newest novel – it is very much an eye opener. Press releases – very few readers see them. As a book blog reviewer, I love them! I keep all of mine tucked into the books I get sent. I do read the sheets as a lot of times it has more information about the author and the novel than just the blurb on the back and at times they make mention of the marketing they have in mind for the book – and that is something I find very interesting. Book reviews – I have a few other bloggers whose sites I visit to catch up on reviews on books I don’t have and I have been swayed to buy loads this way. I will however not read reviews on books that I have got to review myself. You have to keep an open mind and not be swayed by another’s opinion. I refuse to read Amazon reviews – that of course is an entirely different matter! month (maybe I’m exaggerating?) ahead of its release date. It was pretty cool (especially as I got sent a whole sheath of them to give away) and it generated a lot of interest. Internet ads are a favourite too – I have a notepad where I write down books advertised this way so that I can check out the publisher and author at a later stage. Author sites are a must. Case in point: Simon & Schuster are debuting two very hot new young adult authors this year: Michelle Harrison and Sarah Rees Brennan. Both these girls have got amazing online presence and they are EVERYWHERE. The buzz about their books are just a bit daunting – Sarah put a post up on her LJ about ARCs being available and there was over 600 replies. Michelle’s generated so much interested in her novel that it’s been shortlisted as one of the books in the Waterstones Children’s Book Prize list! Similarly, American debut novelist Carrie Ryan (Delacorte) has a fantastic website and online presence for her novel out later this year. The noise is incredible. And it is very satisfying as you get so caught up in it, you feel part of it all. The fact that the websites are there,makes you feel like you can personally interact with the author – and invariably, when you do, the response back is worth it. Author interviews, online / in person, along with signings – man, this is what I was built for. I love them. I thank my lucky stars every time I get to go to one of these because it brings home how nice most of them are and how human and normal. Giveaways are, along with good book jackets, the best tools for marketing and probably the least forced. I love hosting giveaways and I know most publishers – even in these difficult times – are happy to oblige. They know about word of mouth and hand-selling and they rely on this quite heavily. This might sound a little strange, but I do like seeing books in book shops. If a book is on the shelves then I can ‘kick-the-tyres’, check the print, maybe read a bit, but most of all impulse buy. And if they can get it onto the promotional tables or on a 3 for 2 offer than I’m more likely to buy something I’m not so sure about. I’ve been getting quite excited by finding books that I want as epub files that’ll play happily with my Sony Reader. I know older books aren’t going to be easy to find but there little excuse for new releases not be in that format. *And it is a form of marketing as it increases the chances that I’ll buy it over one that isn’t ebook’d even if I want to read it. A great cover is going to win me over every time. I’m a little conservative when it comes to covers so if it’s like other books of its kind I’m likely to know what type of book it is. I don’t mean that it has to be too close but it does have to match the style and tone of its content. I tend to read blurbs in-depth after I’ve started reading the book to fill in the gaps but a good blurb will give give me a little more of a idea of a book after a cover has attracted me. Getting mentioned is as many places as possible in a positive way is going to raise my interest. I’m the kind of person that likes to know what he’s missing. I think that goes back to getting positive vibes so if I see them around I know that there are people out there that like the book and want it to do well. I guess it’s a subconscious thing. So overall, my favourite form of marketing is anything that gets me to think of a particular book more than another one in a positive way but it needs to be viral more than hammer driven. Trin: More or less the only thing that reaches me in this backwater place is a good review. 🙂 Our main bookshop can hardly be trusted with choosing good titles (I have a feeling that they simply buy whatever people order) and there are no author signings, billboards and the like. A nice enough cover always helps, though, but I find the quotations and blurbs pretty unimportant – I never read them, since the former don’t interest me and the latter often include spoilers. So, I believe in the power of the Internet – if a book is much discussed/positively reviewed, then I’ll almost certainly read it. and willing to engage with current or potential fans it immediately puts them in my book of good folks. There are quite a few authors who, while great writers, are not really all that interesting to me either because they aren’t available, or because they’re just too busy (or don’t care) for engaging with readers. Otherwise, while I like all the bookmarks, fliers, videos, free giveaways (I especially like these), etc., they don’t really influence me in purchasing. If the book itself isn’t interesting, I’m likely not going to buy it unless the author can make it interesting. Book reviews, of course, do help when you’re not sure about a book and need an objective opinion. I certainly am not suggesting that publishers stop all the stuff they are doing, though. What works for me may not work for someone else, etc. I also find the cover to be incredibly effective in getting me to pick up a book (with the actual blurb on the back and some of the writing itself to draw me in further), but I had never really considered this part of “marketing.” Still, nothing like a pretty cover to get me to look at something. That said though I tend to go over word of mouth from people I trust yet this isn’t a nay say to the reviews, as a lot of the people I hear from about certain books are reviewers, it can be a real saver and at times a surprise to discover a secret gem hidden beneath the TBR pile. I suspect that’s why, to a certain degree, a lot of reviewers get to know each other as with the sheer volume of books released it makes it difficult to read the lot at the time they’re released so a number go on a back burner until the time that you get to them. With myself one novel that landed that took me six months to get to was Christian Cameron’s Tyrant which I absolutely loved and was a little upset that I’d left it so long but with these things you tend to learn and get a feel. Its great having friends who also review as we can all tackle different books and then send out the recommendation to each other so that you don’t miss anything. I think if we were to get a central hub to be able to do just that then it might help each other out. Heather: Asking me about my favorite form of book marketing is akin to inquiring about my favorite dental procedure. While I appreciate an effective marketing campaign (“Where’s the Beef?” “Lever: for all of your two thousand parts”), I find that it’s a necessary evil. (And yes, I’m a card carrying member of Lever 2000). But you also asked what form of book marketing I find most convincing, and that’s quite a different story! Number one with a bullet would be book reviews. That’s my primary source for discovering new books/authors. They closely resemble word of mouth, and since these days I spend hours upon hours each week in the blogosphere, the process is also very convenient. Good, bad, snarky, sugar & spice, amateur or professional, review sites are a smorgasbord of entertaining dishes. Titles are another way publishers might persuade me to part with my hard earned cash (or my husband’s, as the case may be). 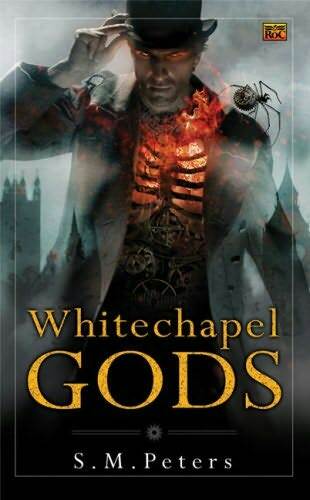 While I understand that they are basically crafted to sway distributors and book buyers, and while they rarely figure into my book buying decisions, smashingly great ones will sometimes tip the scale (WHITECHAPEL GODS, I bow before your moniker magnificence). In the end, though, it comes down to reviews, because reviewers take the time to analyze the ins and outs of a tale so I can make informed decisions. And that’s a marketing strategy bordering on a public service, at least in my book. Sarah: the main way that I choose my next book to buy is word-of-mouth, so the marketing schemes that work best are the ones that most resemble word-of-mouth or personal recommendations. Whether it’s a review by a reviewer I trust, or a “Staff Choice” in a bookshop, or even the “Recommended for you” section on Amazon, I’m much more likely to give those books a shot than if I’d just seen them advertised on a generic poster. Most poster-advertised books are not for me anyway, being a bit too mainstream; the one time those are useful is if there’s a new book out by an author that I already like, and it alerts me to the fact that it’s now published. And there you have it! Comments welcome, as always. It’s a good two cents. I agree, those are all good. I find that covers tend to be the biggest selling point when I’m in a store. 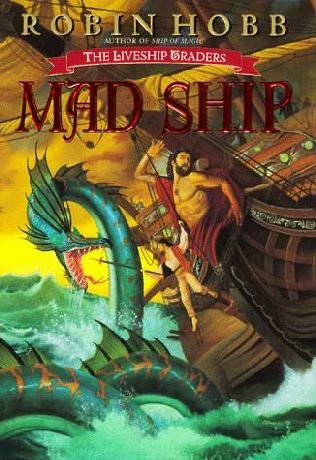 The problem I have with covers, unfortunately, is that they tend to be a wide range from great to trashy in the science fiction genre, but tend to be largely mediocre in the fantasy range. It’s all repetitive in the U.S., and less so in England. Maybe I’m just unusual in that sense, but I like covers that really jump out at me even when they are simplistic. Hmm.. yes.. There is a lot of crap art out there, but the good art is usually really, really good! Unfortunately, I only read the books with the good art – even if the ones with the bad art are amazingly stupendous. Personally, I’m a sucker for a great cover. Beyond that, I usually don’t buy randomly. I usually buy books that have been recommended to me. Just wanted to let you know, you won a book over at my blog. Dan Simmons’ The Terror! Congrats! If you send me an email (my email address is in my profile), I’ll forward it to Hatchette books. Thanks again for participating in my giveaway! Stephanie: Oh *gasp* That’s awesome! Email on its way.